All Is by My Side does not have the approval of the Hendrix estate, which means it cannot use any actual Hendrix music. Guitars and hair are fair game, though. 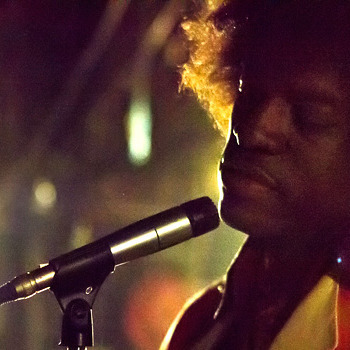 Here’s the first official look at Andre 3000 in character as Hendrix; the biopic premieres at the Toronto Film Festival in September.